Amélie Sabourin, students' nutritionnist from the Centre de santé et de consultation psychologique of University of Montreal, will lead a Culinary Duel during the GHC to teach participants multiple ways to eat well with few resources and little time. Medical students at the University of Montreal, Alexandre Thuy and Linh Ngo Suey are both interested in global health. They chose to get involved in the GHC following the internationally recognized training "Training New Trainers - TNT" given by IFMSA-Québec in January. During their workshops, they wish to convey tools to participants and guide them to get even more engaged in their community as actors of change. 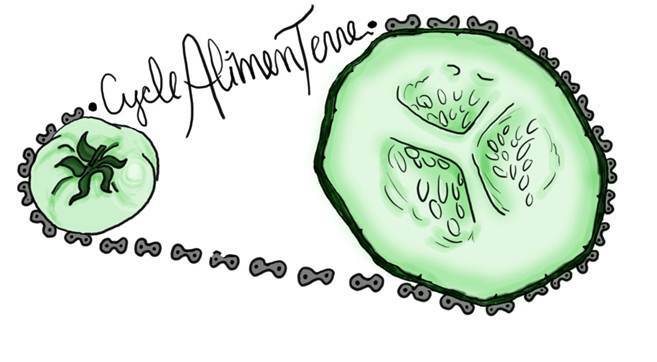 Cycle AlimenTerre is an inclusive organization that gets involved in its community to defend a fair access to quality food. On urban residential lands in the heart of Notre-Dame-de-Grâce, Cycle AlimenTerre's team harvests fruits and vegetables in an ecological way using permaculture techniques. Their environment-friendly bicycle market is a hub to bring their community closer, share ideas about how society can be more sustainable and to generally promote health and well-being. The organization sells its crops at affordable prices in order to supply fresh produce where the communities are considered the most vulnerable for food insecurity. Since Cycle AlimenTerre also care about the environment, workers of the organization carry their mobile market and tools by bike, rain or shine. Cycle AlimenTerre is happy to be involved with James Lyng Green Team to lead workshops on food security in an urban setting and on urban agriculture during the GHC. The organization will also be present at the Community Fair to meet the participants. James Lyng Green Team is a student committee of the James Lyng High School made up of young people interested in the environment, sustainable development, agriculture, etc. A team of students and their instructor, Alyssa, have chosen to share their passion and knowledge in urban agriculture and food security to the participants of the GHC during dynamic workshops demonstrating that age is not a barrier to involvement. You can learn more about the group by watching this video.